Instant Replay – Watch Now! Serve Saturday is one of many ways a church can go out and help our community. 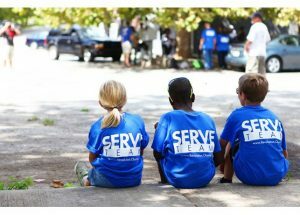 Revolution Church hosts the project called Serve Saturday. The projects vary from month to month in order to provide help in a wide range of locations. The event allows people to come together and participate in different odd jobs to make our town better. Revolution Church of Jasper has been working over the past four months in our community. Most of what they have accomplished so far is high impact/high visibility projects such as painting cemetery walls on Church Street. However, these projects are only leading to more from the church, such as their event this Saturday, July 15 from 9:00 A.M. to 12:00 P.M. the church will be cleaning up the intersection around the Walgreens and Rite Aid, along with the intersection at Hwy 53 and Main Street. Around 46 people signed up to participate in this event. The Mayor and his staff are thrilled that we have been caring for the city! FetchYourNews.com - Dedicated to serve the needs of the community. Provide a source of real news-Dependable Information-Central to the growth and success of our Communities. Strive to encourage, uplift, warn, entertain, & enlighten our readers/viewers- Honest-Reliable-Informative. FetchYourNews.com © 2019. All Rights Reserved.